a surgical procedure for reducing a fracture or dislocation by exposing the skeletal parts involved. Orthopedics The reduction of a fracture by direct visualization after surgical exposure. Cf Closed reduction. 1. the correction of a fracture, luxation or hernia. 2. the addition of hydrogen to a substance, or more generally, the gain of electrons; the opposite of oxidation. 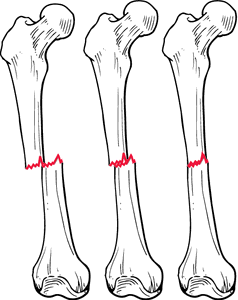 in the Ortolani maneuver, the point at which the femoral head returns to the acetabulum. the manipulative reduction of a fracture without incision. bone holding forceps used to hold fracture fragments in position during surgery. reduction of a fracture after incision into the fracture site. In this study, 1 case of Type-III suffered from Pipkin fracture concomitant superior and inferior ramus of the pubis accepted open reduction and internal fixation after 48 hour later when the active bleeding was excluded. Between January 2012 and September 2014, 28 patients (20 males and 8 females) who were admitted to our emergency department, diagnosed with osseous mallet finger, and surgically treated using open reduction and hook-plate fixation were included in the study. In Moreno14 there was no sensory nerve damage with open reduction (2mm miniplates). Completely displaced supracondylar humerus fractures in children: results of open reduction versus closed reduction. On the other hand, Gali R, Devireddy SK et al22 advocated that miniplates' osteosynthesis has become the standard procedure in their department, being used 4 times more frequently than wire in open reduction and bone fixation. Cases managed with closed reduction and percutaneous pinning and those in whom open reduction was performed through surgical approaches other than the medial were excluded. This case serves to add to the literature of the rare instances where open reduction of an acute patella dislocation is required, in this instance, for what was likely an incarcerated fracture and a chondral defect. The case of a patient with a Pipkin type-I fracture treated with open reduction and excision of fragments has been reported. Open reduction and innominate osteotomy are two appropriate surgical techniques that are necessary in the initial management of the children with late presentation. Surgeons must be cognizant of this rare complication and should proceed to open reduction to treat this problem. An open reduction internal fixation of the humerus was performed with irrigation and debridement, followed by a thrombectomy of the left brachial artery. Open reduction and plate fixation is well-suited for tibial fracture repairs since entire bone can be easily exposed surgically (Prieur, 1984).